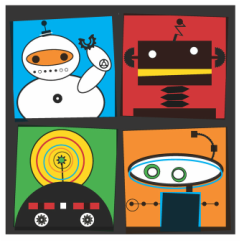 Robot Block Party is today (Saturday, April 11) at Brown University! We’re busy setting up this morning to show off some of our 3d printers and 3d printed projects. Stop by the 3DPPVD / Ocean State Maker Mill booth and say hello! We’ll be at the ready to answer any questions you may have on 3d printing in general, 3d printers, 3d printing materials, 3d design software, and 3d printed projects.